How to download online videos on Google Chrome? Have you ever wondered if you can download any online video directly from your Google Chrome web browser without using any third party software or extensions. Well, this is possible and pretty easy. You don't have to download or install anything. Just follow this simple tutorial and you will be able to download any video from almost all websites just by following simple steps given in the tutorial below. If you are in hurry and wanted to just directly go to working part then skip this text and go to title 'How to Download Online Videos in Google Chrome' . In this tutorial, we will be using Google Chrome's Cache to get video file. We all know that Google Chrome comes with pre installed Adobe Flash Player and it keeps the temporary data of video in its cache folder. Here, we will find that cache folder and will copy video file from there to a safe location.Follow the steps given below. First of all, Clear all Cache and History from your Google Chrome browser. This will be helpful in finding the video cache file. The cache and history can be cleared in Google Chrome by Clearing the Browsing Data in settings. 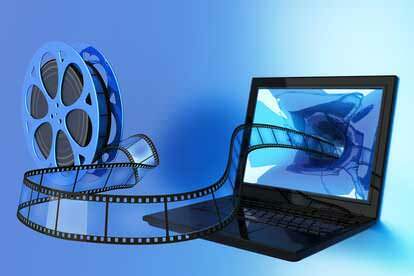 Now go to any video site and find your desired video that you want to download. Start playing the video. If website allows pre-buffering of video that is downloading of video when paused. Then let it buffer completely to the end. Now go to My Computer-> Drive C->Users-> Your User Name->AppData->Local->Google->Chrome->User Data. Now choose your profile folder if there are some names of folders. If not just go to cache. Now sort the file by Size. Select large files with names similar to f_0000 etc. Open any nice Video Player such as VLC Media Player. Drag those selected files to VLC Media Player. Videos will start playing. Choose your desired video and check its name. Copy that file to some safe location and then play it with any media player. That is all. Now you will have downloaded your desired video by using Google Chrome and without any help of third party software or extension.